What a sweet, sad story this was. Ethan, poor lost Ethan, trying everything to save the very old and very rundown theater that’s his last physical connection to his dad. and since his dad died several years ago, it’s where he spends most of his time. But now it’s slated to be turn down. And Ethan, along with his group of employees who are just as lost as he is, determined to keep that from happening. Funny, not entirely plausible, but completely enjoyable. They don’t realize the effect they have on us. When they recognize us by our face or names, it’s a thrill. If they call us out and act excited to see US, we lose our minds. I can’t tell you how many times I have to leave a signing room to calm down. These people are our rock stars. Last month my family and I went to D.C. for a vacation and so I could attend Apollycon. I took my daughter with me to the signing, even though she hates to read almost every book except Sarah J Maas’ Throne of Glass series. I wanted her to meet some of my favorite YA authors and see their books and hear them speak. Some get so passionate it’s fabulous. I hoped she would find at least one new author to try out. I never expected anything like what happened. A little backstory, since January my daughter has been dealing with a debilitating illness that we can’t figure out what is causing it. So we were very nervous to take her on a 9 hour drive and then to all the museums and monuments. But she wanted to go. Amazingly she did well and didn’t get sick once. I however, was a nervous wreck the entire time. This has been my life since January, so it won’t switch off till we get a diagnosis. 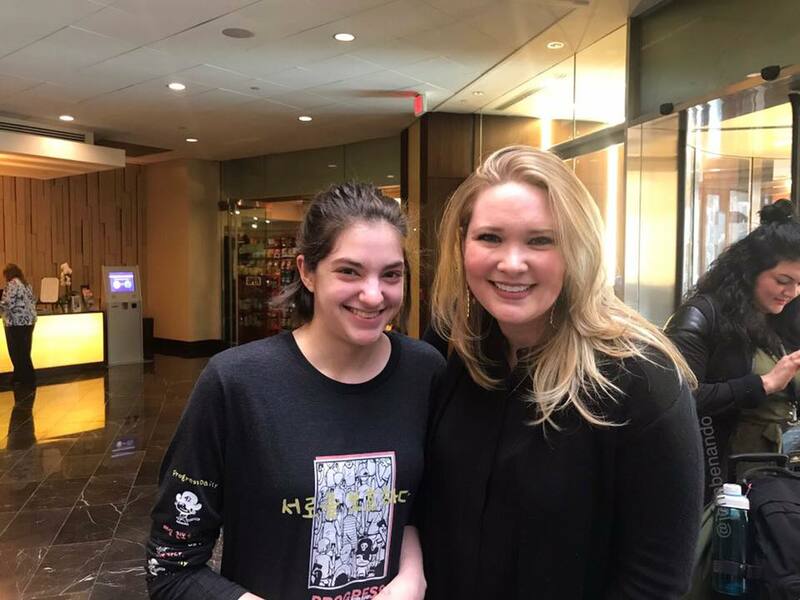 Her one wish was to see and get a picture with Sarah J. Maas. She won the lottery so she would get to meet her and get a book signed but a picture wasn’t part of the deal. But on that Friday, I was working the registration and I get a text saying, “Sarah is in the lobby. I’m too nervous to ask for a pic.” To which I respond with, “ASK!! !” I mean, what’s the worst that can happen, she says no? And then I get this picture. Mind you, she just got back from Mount Vernon and she had a hat on all day, so she looks tired and a mess. 🙂 But look at that smile. Sarah had no idea what this kid’s been dealing with. She doesn’t know that she came up to me shaking, with tears in her eyes, and she never cries. She has no idea that in that couple of minutes she took away the fear of an unknown diagnosis. She made my girl so happy that she forgot all the stress. 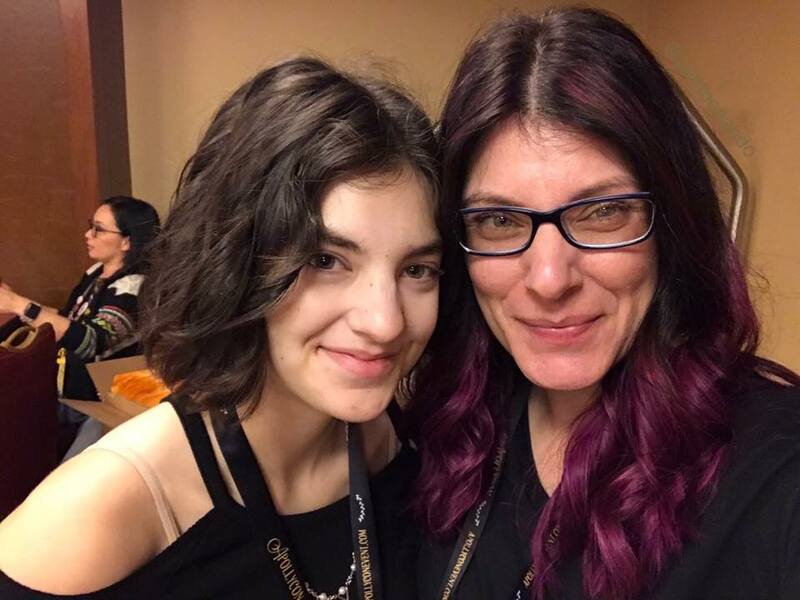 I went with her the next day to get a book signed and I tried to tell Sarah how much it meant to me as a mom to have her daughter get her wish and I could barely get the words out through my tears. I would’ve said thank you for making my daughter’s whole life, so far. Thank you, for taking a few minutes to show a teenager that they’re worthy of your time. You made her wish come true and I will be forever thankful. By the way, she still tears up when we talk about it. That’s the power of an author. And that’s the life of a fangirl. I’m finding myself more and more intrigued with mafia books than ever before. In February I stumbled upon Cora Reilly’s Born in Blood mafia series while doing a free trial of Kindle Unlimited. From the very first book I was hooked. I inhaled them in a matter of a couple of days, then I immediately jumped into The Camorra Chronicles, which is the spin off series. So I’ve been DYING to get Remo’s story! He’s one of the most brutal characters in these series but I knew he would crack when he found the right woman. Now mafia books aren’t for the faint of heart. They’re brutal and sometimes disturbing, but family is at the core, so they can also be filled with lots of love. This series is about a set of brothers and Remo is the head of them. He will do everything and anything for his family, even kidnap and break an innocent woman. I’ll admit, I was a bit nervous when I started. I know what Remo’s like and I needed to prepare myself. But like I said, all it take is the right woman to ease the monster and Serafina is that woman. Serafina was raised like all women are raised, covered in protection till their wedding. 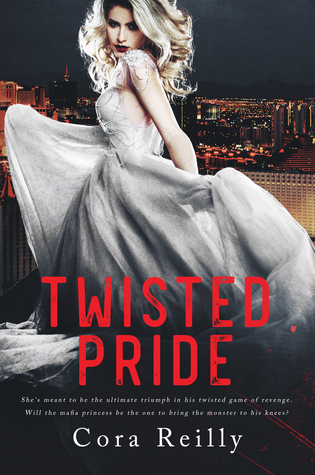 But when she is kidnapped on her way to her wedding, she has to be strong and unbreakable in the face of a monster. The more she’s there, the more she grows to understand Remo and why he’s the way he is. Soon her heart makes a decision that will forever change her life. I missed the days when I thought a knight in shining armor riding a white stallion would steal my first kiss. Instead a monster had claimed me, body and soul. I loved watching these two circle each other. Seeing the brothers get a little softer when more women enter their lives is fun to watch. They will still be killers, don’t get me wrong, but when they look upon the face of their women, you see an easing of the tension that surrounds them. Behind all the violence are men who just want to be loved, even if they don’t want to admit to that. Read all three books in the Camorra Chronicles. Click picture for link. Stories about dead spouses with secret lives are a dime a dozen. Can’t name one off the top of my head because that’s how common they are, how they all seem to run together. So it was with a bit of hesitation that I picked this one up. And I’m glad I did. Because it’s both familiar and different at the same time. Alice has a good life. Great job, loving husband, beautiful daughter with another child on the way. And then it all changes in an instant. When her husband, Chris, dies in a car accident she’s shattered. Imagining life as a young widow is tragic. But even worse is the realization that Chris died far from where he was supposed to be. So Alice begins digging. And she digs some more. Eventually her curiosity leads her to an island she’s never even heard of. Soon she finds herself living a new life as she continues her quest to discover who her husband truly was and what secrets he was keeping from her. But at what cost to both Alice and her children? I enjoyed this story a lot. While the main plot is one that I’ve heard before, the author takes a unique twist with it. The characters are intriguing, and there’s an underlying vein of humor throughout the story. It’s a bit long and wordy at times but all in all a great story. Can I just say that I fell in love with the cover before I even read the book? I had no idea what the book was even about when I started reading. I was pleasantly surprised. Beatriz Perez and her family were forced to leave their country in order to survive. But Beatriz wants nothing more than to bring down Castro and go back home. So she joins the CIA to infiltrate Castro’s inner circle to find a way. She never thought she’d find romance along the way. But she must choose between her heart and her home. My heart was practically in my stomach the entire time. Many of her decisions could’ve gotten her or her family killed. I was stressing. And I do believe at a point or two, I cried. Not just from emotions, but from the stress as well. She was willing to risk her life and love for her country. 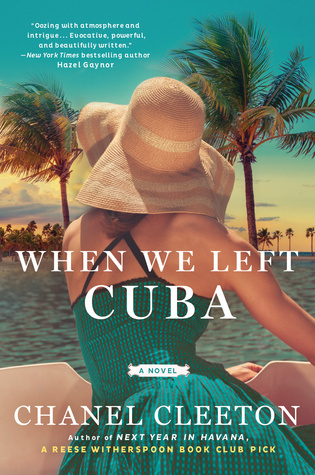 I never read Next Year in Havana, so these characters were new to me, but in no way did I enjoy the book any less. I have quite a few friends who will be receiving this book as a gift this year. Books rich in history like this are some of my favorites. I am definitely bumping up Havana in my TBR and I look forward to reading whatever Chanel brings to us. There’s something about a story that says “Inspired by a true story” that makes my heart clench. While I was reading A Song for the Stars I could feel it happening quite often. 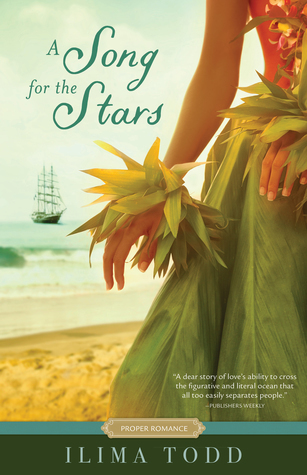 Imagine living in the Hawaiian Islands in 1779. Your world is small. You only know what’s on your island. When new people come bringing their traditions and unfamiliar wares, your world gets even smaller. Maile and John meet under very heartbreaking circumstances. She is told to train him in their ways, so he can navigate and find his way home. But the more time they spend together learning and sharing, the more time their hearts soften to each other. I loved watching them interact. She was so angry and devastated in the beginning, my heart broke for her. She starts out leery of him but, then John’s openness and eagerness to learn about her makes her question what she originally thought. Soon she realizes that her heart may find healing after all. This story was beautifully written I could see and feel the world around me. And knowing that these are the author’s ancestors, makes this story all the more real.